LEASING OF 5 YEARS TO TAKE OVER!!! º Interior wood "Alba Oak Satin"
º The 2 single beds in the guess cabin are convertible in one double bed! 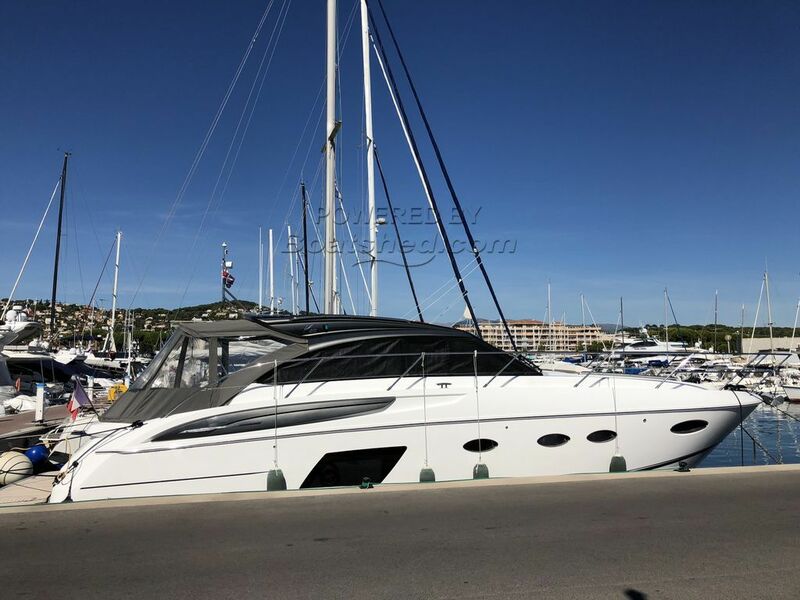 º Sun bath cushion "Moved met ice and contrast vogue"
This Princess V48 OPEN has been personally photographed and viewed by Edward Kay & Antoine Perrin Daragon of Boatshed Riviera. Click here for contact details.